Current news headlines are full of retirement-related stories and specials. The world’s most developed nations have benefited from greater nutrition levels, more effective healthcare treatment, and generally more resources as a whole. The result of this higher standard of living directly impacts retirement plans. As the massive Baby Boomer generation enters retirement and stresses our economic system, self-directed IRAs are an important Social Security Solution. Whether or not you’re a Baby Boomer, this large age cohort will soon start drawing social security benefits and impacting the nation’s finances. Current Congressional Budget Office reports are predicting that the program will peak in the year 2016 – in other words, the Trust Fund will run out unless Congress passes major reforms. Here’s what this means for you: your Social Security benefits may be greatly reduced, and you should immediately start preparing for this eventuality. Self-directed IRAs are a highly-effective way to account for Social Security’s current insecurity. For example, with a self-directed IRA from American IRA, your IRA can invest in real estate and rent out a property for recurring income. Combining this fairly consistent revenue source with such investments as private loans and tax liens can help you protect yourself against an uncertain future. Self-directed IRAs don’t rely on the fluid world of politics and policy; instead, they allow you to control your future and determine the success of your own retirement. Self-directed IRAs unlock your full potential as an investor, so why not protect yourself against Social Security’s unknown future today? 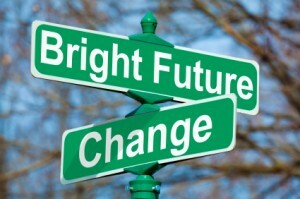 Click here for a free IRA analysis. You can’t afford to wait! 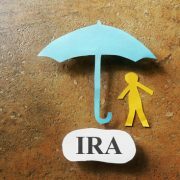 Should You Take an Early Distribution from Your Self-Directed IRA?